Kusuka brings you a great tasting, traditional indonesian snack called cassava chips. Cassava, also known as yuca or manioc, is a tropical starch tuber similar to sweet potato. Kusuka cassava chips are created by combining current manufacturing technology and a traditional indonesian recipe. The result is the best tasting, highest quality cassava chips in the world. There are 9 flavors currently available. Do contact me for samples. 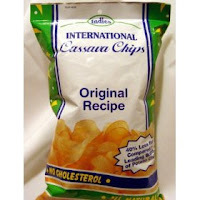 Kusuka Cassava Chips is an Indonesian product. It comes in a package of 250gr and 500gr. Smaller package is also available upon request. Available in many flavours such as: Original, Chesse Burger, Baked Chesse, American Corn, Barbeque, etc. 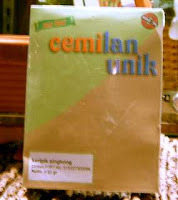 Once you try, you'll fly to the sky. . . . These are the first rippled cassava chips I've seen. They look more like potato chips than other cassava chips generally do. They're very crunchy and taste OK.
"The tropical Cassava is actually a vegetable brimming with flavor-filled roots that can be cooked, and eaten, just like a potato. A small but bountiful shrub, the Cassava plant grows in Central and South America, as well as other warm regions of the world. The Cassava root is also an excellent source of Vitamin C and Dietary Fiber. So let the all-natural goodness of our Cassava Chips keep you coming back for more!" Fried crisp thin chips made from cassava. 40%less fat than potato chips. the flavor is mild and nutty with a hint of sweetness. They are delicious and hard to put down.